Too often crows are seen as pests, something to get rid of, to eliminate. We encourage a different view of these beautiful birds. We encourage a sense of curiosity and respect for them. Fortunately, we are not alone in this view. 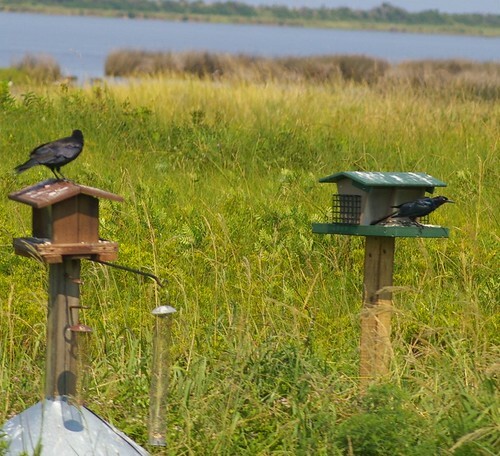 A wonderful woman posted step-by-step instructions on how to build a birdhouse for crows. Imagine! Instead of shooing them away, putting up scarecrows, shooting at them, screaming at them… why not build them a home and give them some sunflower seeds or a handful of peanuts instead? If you wish to make yourself a birdhouse for crows, you can find the directions here.